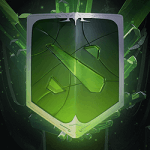 Dota 2 – The International 2017 has officially surpassed the eight-digit prize money mark. 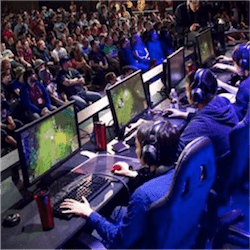 The 23 Million US Dollars prize money kitty will ensure that the winning team for 2017 will be going home with a mind-blowing 10 Million US Dollars – a landmark figure in the world of eSports. 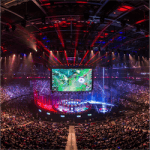 The magnitude of it all should actually come as no surprise, with the annual event hitting the historical headlines ever since it was first held at Gamescon back in 2011 – The International was the first eSports event ever to feature prize money in excess of $1 million. Since 2011, Dota 2 – The International has made millionaires out of gamers, who up to merely a decade earlier had been negatively stereotyped in all sorts of ways. The crowd funding model – another landmark idea to have blasted onto the recent scene – has made the grand prize money possible. Seattle’s Key Arena will be hosting the event again this year – having been home to the grand showdown since 2014. Before that the action went down annually at Benaroya Hall. 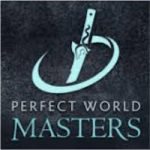 The grand finals of Dota 2 – The International will be held on Saturday, August 12. 5 is the lucky number – the number of teams to be watching in the 2017 International. Infamous is viewed by some as the love-child of the merciful hand of charity – and perhaps rightly so. Valve has extended its reach to eSports underdog South America and Infamous is the fruit of the efforts of its loins. So if you’re one for supporting the underdog, the unconventional fairy tale outcome – Infamous is the team to be rooting for this year. TNC showed their steel during last year’s International, causing a high-profile upset by eliminating No. 1 seeded team OG, 2 – 0. Everyone expected TNC to roll over and die in the face of the wrath of OG. Everyone was disappointed. 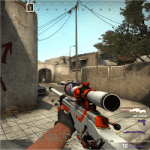 When TNC Pro Team comes to the table, anything can happen. Team Liquid came dangerously close to missing an invite to Dot 2 – The International 2017. Never a team to be taken seriously at any past International, Team Liquid managed to redeem itself, if only barely, by their surprise stellar performance at the Dota 2 Epicenter Tournament. Fantastic fluke? Time will tell. They took the International in 2015 – but have failed to match the star performance at Valve’s LAN events ever since. They certainly have the talent. The question is, will they be putting it to good use in 2017? Winners of four of the five Major Dota 2 Championships, they fell flat on their faces at the 2016 International. Can they scale the psychological wall of impending doom? History In The Making with League Of Legends September 23rd will see the LG Dire Wolves tying Australia to the pages of eSport history when they become the first team from down under to compete in the League of Legends World Championships. 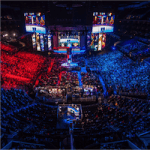 The League Of Legends World Championships is the ….